Find Pages From Our Philadelphia Nanny Agency With This Site Map! Philadelphia Nanny Agency Profile –The beginnings of ABC Nanny Source started right in the heart of Philadelphia. Take a peek into the parents who developed the stringent screening process that turned into the most trusted company for in home childcare in Pennsylvania, New Jersey, Delaware, New York, Maryland, and Washington DC! Welcome - Although ABC Nanny Source has more then one location, you can be sure that each and every nanny candidate that is represented here has walked through our doors before they are offered the opportunity to walk through yours. Why Choose ABC? 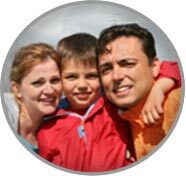 - You have a choice when it comes to Philadelphia Nanny Agencies but we know that our Agency is dedicated to suiting the needs of your family precisely. The criteria that you provide to us is exactly what is utilized to match you with the best suited career nanny specifically with your family needs in mind. Considering Hiring a Nanny in Philadelphia? - This is an extremely important decision and for this reason it is imperative to understand the benefits that come with hiring the right household assistance. Who Needs a PA Nanny? - Working parents and stay at home parents alike need the extra helping had of a professional caregiver. Remember the adage "it takes a village to raise a child" or just two fantastic parents with the right career nanny by your side! How THIS Philadelphia Nanny Agency Can Help - Step by step your family will be assisted by one of ABC's expertly trained and caring placement counselors. The counselor that is matched to your family will be dedicated to listening to your needs and following through with the results you desire; thus saving you untold time and energy so the right nanny can be found. Nannies in Philadelphia: Services - Find out what services your Philadelphia nanny will provide from light cleaning to driving to and from sports activities! It is important to understand the industry standards. Where Do Our Philly Nannies Come From - Find out how we find the nannies in our Network. The best nannies only come from one source; find out where and why today! See Nannies Now - Preview some of the qualified Philadelphia nannies in our network immediately! Nanny Assessment - Follow ABC through our nanny assessment process. Frequently Asked Questions About Nanny Services in Philly - Find answers to your questions here! Questions to Ask Your Nanny Agency - Get all the information on your Philadelphia nanny agency before you hire them. This is probably the most important homework you can do; once you have the right agency, the rest of the hard work will be done there! Philadelphia Nanny vs. Day Care - Find the pros and cons to hiring a nanny rather then placing your child(ren) in a day care center enviornment. 10 Step Screening Process - ABC is so proud of our screening process. Our nanny applicants are thoroughly screened so that we can feel confident that all safety measures are in place. Sample Interview Questions - Want to know how we interview here at ABC Nanny Source? Areas Served - See the states / cities (Philadelphia and beyond) that ABC Nanny Source services. For our Philadelphia Families, click here. Agency Fees & Guarantee - Our Agency offers an unprecedented ONE YEAR Guarantee! Registration Forms - Philadelphia families looking for full time, part time or summer nannies. Testimonials - Families and Nannies throughout all ABC service areas are raving about the services provided. Please review some recent testimonials. Looking for a Nanny Job in Philadelphia? - Are you a local Philadelphia Nanny looking for employment? Call ABC Nanny Source today! Customer Service - We take our customer service seriously! Our top priority is to find a lasting match between your family and a local nanny. Satisfaction Survey - Take our customer service satisfaction survey. Your feedback helps us improve! Nanny Employment Application - Please fill out the online application today to be considered for representation through ABC Nanny Source. One of our scheduling coordinators will be in contact with you within 24-48 hours to review your application and schedule an interview in the office. Directions to our Philadelphia Nanny Agency - Ready for your interview? Please be sure you are timely and know how to get to the correct office before coming! Our Harrisburg Division - Call Today! See Center City, Chestnut Hill, Philadelphia, Main Line, Bucks County, Harrisburg, Allentown, Bethlehem, Easton, Huntingdon Valley, Lehigh Valley, Montgomery County , Upper Bucks County, Lower Bucks County, Chester County, Jenkintown, Malvern, Delaware County, Berks County and Yardley Area Nannies NOW!